02Again.com is the automotive aftermarket division of Metal Concepts. Metal Concepts has design and manufacturing experience in the automotive aftermarket, bicycle accessories, and aerospace markets. We are the designers and original marketers of the Traps line of bicycle carrying systems now sold by Saris Cycling Group, Inc. of Madison, Wisconsin. With well over 300,000 Traps carriers sold worldwide. We also manufacture another bicycle related product that can be found at www.TrikeTight.com A novel way to work on your 3 wheel bicycle. 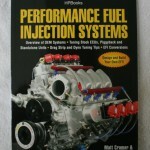 Our focus today is on making it easier for the do it yourself person to convert old BMW 2002 cars originally equipped with carburetors to a more efficient electronic fuel injection system, primarily the Megasquirt do it yourself variations. Please browse the offerings on this site. If you don’t see what you need, give us a call or send us an email. Information for this can be found on the Contact Us page.